Residents of Mexico had braced themselves as Hurricane Patricia swept across Mexico with expected destructive strong winds that had uprooted trees, effortlessly moved cars and made thousands flee their homes in the Pacific coast. 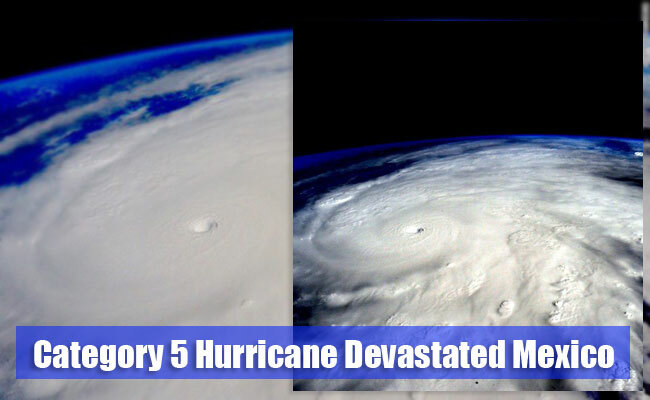 Hurricane Patricia was a Category 5 hurricane and was considered as the most devastating hurricane in the history, yet as it hit landfall in Mexico, it had weakened though it still had winds of 130 miles per hour. There was no reported casualties yet, while authorities shard that the damage was not as devastating as they had anticipated. The hurricane first bombarded Puerto Vallarta, fortunately the 15,000 guests in the beach front had been pre evacuated to their safety. The city was also flooded though it was not devastated in the expected scale. As the storm passes through the city, residents and tourist took refuge in the emergency shelters as they hope that the storm would not do the same catastrophic damages as that of Typhoon Haiyan that swept thousands of live in the Philippines. Many Mexicans fears the worst as they knew that the hurricane will be very strong. As reported, Patricia sustained winds of 200 mph, yet it had lessened as it hit the coast. Authorities reported that that there was no major damage done though trees had fallen. Some residents shared that the winds was enough to move cars on its own. Soon, the U.S. National Hurricane Center (NHC) lowered the hurricane level to Category 4 storm . President Barack Obama of USA said that the country is willing to lend a hand to Mexico and is now on stand by. There were also some fears that the ash from the volcano could mix with the rainfall and create mud floods that could devastate some villages. Residents were evacuated to prevent casualties.